Seafood and mallow soup dish. Not quite a soup, but more like a soupy dish. Don’t understand what I mean? Ok, let me explain… This recipe was supposedly a moist (but not wet) barbequed dish, but I added with some water to make it a soupy dish. I did not add too much water, just half the amount of the usual soup cooking’s, just to make it more soupy, that’s all.. That’s why I called it a soupy dish instead of soup dish. 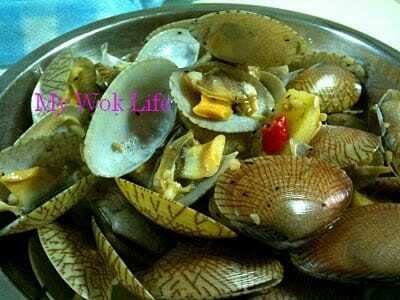 Found these fresh large clams which comes in thin shells instead of usual thick shells type. This flower-patterned thin shelled clam is not as common to be found in Singapore market than in Malaysia, especially such large ones. Hence, I had to just grab some even though I had no clue how to deal with these shells. 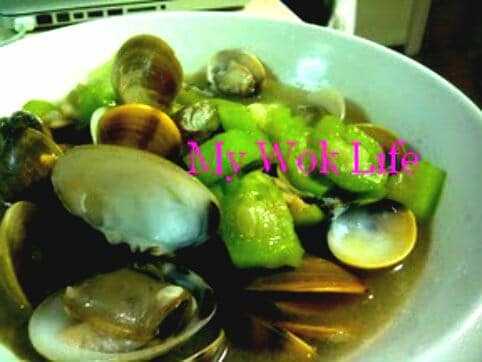 Healthy seafood & melon soup which was done with steaming method. Not the usual boiling stuff direct from the stove though, soup made from steaming method yields very smooth mouthfeel. It gives a very soothing effect to the throat and even the entire body. 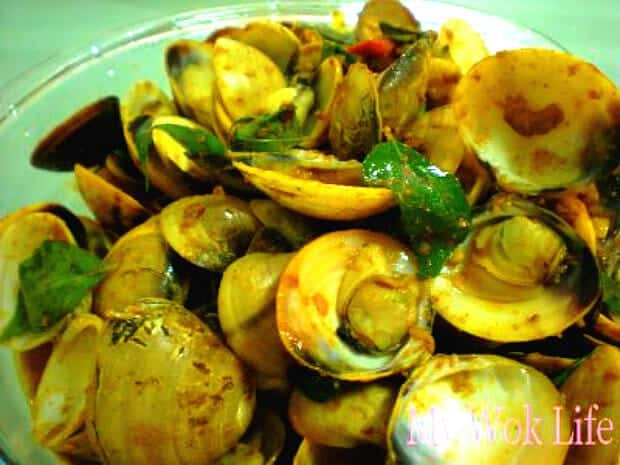 For whom does not really like clams, would love this. Subtly flavoured soup was without a trace of ‘fishy taste’ which usually found in the clams. Not mine! Winter melon in the soup was very soft, too. 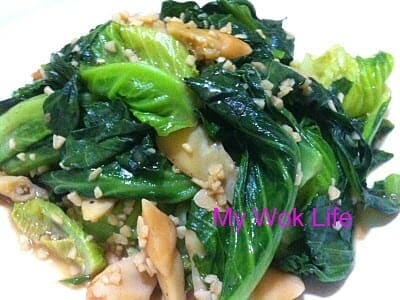 If you like vegetables, you’ll sure like Baby Kailan (Baby Kai Lan or known as Chinese Broccoli or Chinese Kale). I’ve came across some friends, told me that they loved this veggie, but could only eat it when dinning out. Cooking this at home was almost impossible as they often found it tasted bitter after cooked. So, they gave it up, in the end. 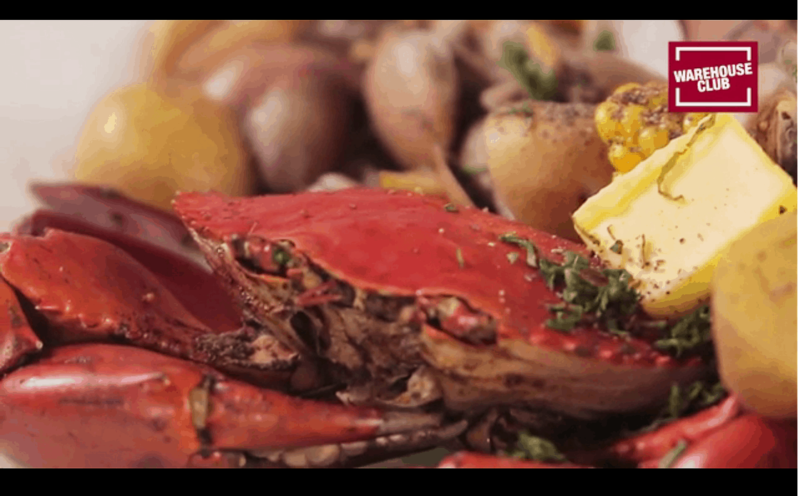 You probably did not come across this dish. You probably did. 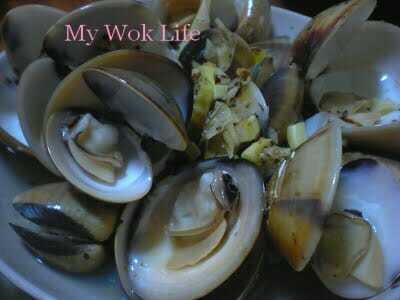 Ate it somewhere, just could not recall the dish name. 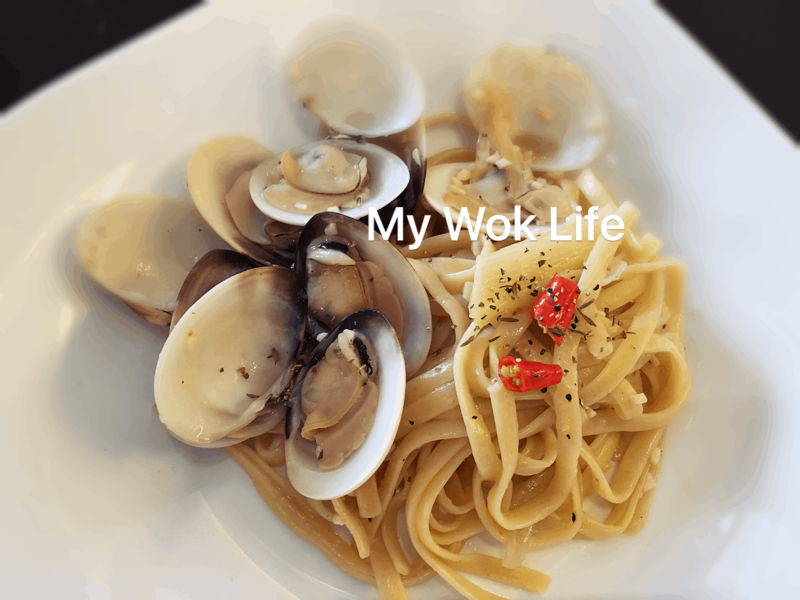 Well, I am going to introduce this dish, the home cooked version.